SLS And SLES – Should You Use A Hair Loss Shampoo Containing These? Whilst we’d love to see you at GetHair, we also like to help you avoid having to pay us a visit! Unless you’re suffering from hair loss where a hair transplant at one of our clinics can help you, one of the best ways to ensure you never need to drop in and see us is by taking good care of your hair and scalp. 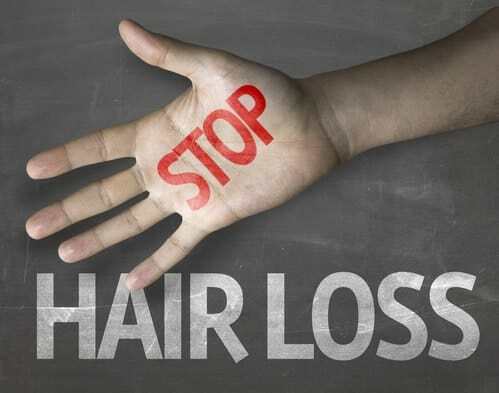 Hair loss over and above hair lost during the natural hair growth cycle can be caused by a number of things. Whilst genetics are involved in hair loss like male pattern baldness (androgenic alopecia), there are many other things that can trigger abnormal hair loss. Some of these include clogged hair follicles, dandruff and a generally unhealthy scalp, lack of essential moisture and nutrients in the scalp, stress, hair pulling, thyroid disorders, autoimmune disorders, some medications and pregnancy. Oh and excessive hair styling can cause hair loss too! hair loss known as telogen effluvium. If you’re prone to losing hair because you pull it out you’ll need to get to the root of what causes you to do that and deal with it. If you suffer from health disorders or are on medications that are causing your hair loss, we recommend seeking appropriate medical treatment and advice. Pregnancy hair loss – there isn’t much we can do about that one! 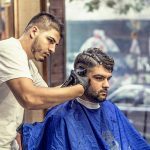 Finally, when it comes to hair loss caused by an unhealthy scalp and hair follicles over and above dietary considerations there is also plenty you can do to help reduce your hair loss without resorting to a hair transplant! What you apply topically to your hair and scalp is equally as important as what you eat and drink. One of the commonest things we use on our hair is shampoo. Shampoos come in all types and qualities, from very cheap generic brands to very expensive high-end brands. There are over the counter shampoos and prescription shampoos, organic shampoos and not so organic shampoos. But one thing many of them have in common are compounds like sodium lauryl sulphate (SLS) and/or sodium lauryl ether sulphate (SLES). There is ongoing debate about the harmful effects of SLS and SLES, and other chemicals found in hair, skin and cosmetic products. What Are SLS and SLES? 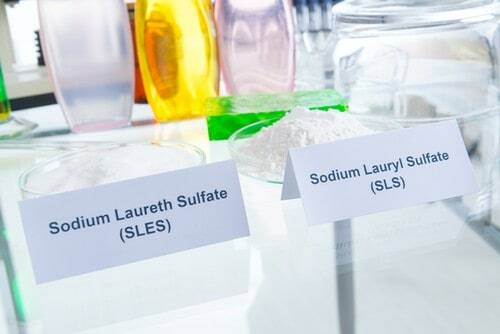 Sulphates like SLS and SLES are surfactants, emulsifiers and foamers. The EWG Cosmetics Database describes them as a “denaturant, surfactant cleansing agent, emulsifier and foamer” with a moderate health risk. Their job as surfactants is to reduce surface tension between 2 different substances or surfaces. Indeed, the word surfactant is an anagram of surface active agents! These surfaces may be 2 liquids, they may be a gas and a liquid, or they may be a solid surface and a liquid. When a surfactant is added to liquid ie water, it partially breaks down the liquid’s surface tension. This increases the liquid’s wetting and spreading capacity. In other words, they become ‘wetter’. (lipophilic means they’re oil soluble). The lipophilic end attaches itself to the oils in dirt and stains, like the oil on your scalp or the dirt on your hair shafts. Then when the surface, in this case your scalp and hair, is rinsed with water the water soluble end attaches to the water and pulls the dirt and oil molecules with it. Using hot water speeds up this reaction. These super effective cleaning characteristics are why surfactants like SLS and SLES are included in so many of the household products we use. From our shampoos to our toothpaste, to household cleaners and detergents like laundry liquids, soaps, general cleaners et al. If you look at the ingredients list you’ll almost always find one of them listed unless the product specifically states it’s free of them. SLS / SLES And Shampoos For Hair Loss – What Are The Concerns? Both SLS and SLES are classed as irritants. That’s the first health issue with them. They also strip oil from your skin and hair. Sometimes this is a good thing, especially if that oil is attached to dirt or an unhealthy scalp! But as with most things, there can be too much of a good thing. 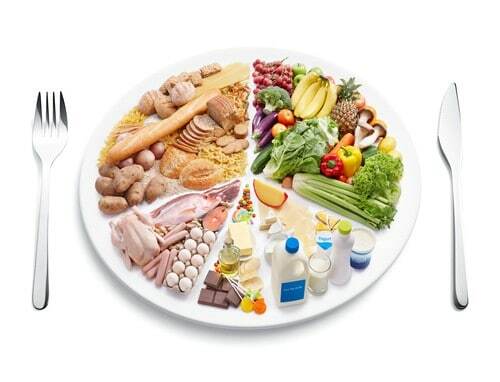 The average person for example may use up to 9 products a day that contain these compounds! That could be a little too much exposure. 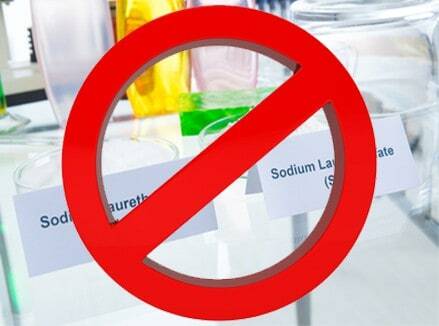 Noxious additives in cosmetics. Laboratory with chemical substances. The safe use of compounds like SLS and SLES in personal hygiene and even cleaning products relies on discontinuous use and limited exposure. In other words, you’re supposed to apply the product briefly then thoroughly rinse it away quickly, thereby reducing the amount of time it’s in contact with your skin or hair. You’re also not supposed to use the product excessively on a regular basis. Furthermore, there are regulated limits on how much of them are allowed in products. Combined, these factors are meant to render these products ‘almost’ harmless and this is why their use is still permitted in so many of the products we take for granted. But are they totally harmless? IF your exposure to them is limited they probably won’t do you a great deal of harm. 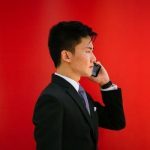 The major issue is with prolonged and/or excessive exposure and this is where using hair loss shampoos with these compounds can be problematic. For instance, it’s recommended you leave a hair loss shampoo like Nizoral (which contains SLS) on for at least 3 – 5 minutes, and use it several times a week when first starting treatment. Now this is erring on the side of ‘prolonged exposure’! And ultimately SLS, SLES and other sulphates like them strip oil and moisture from your scalp and hair follicles. With repeated use, this damages them both. So whilst Nizoral is extremely popular, and extremely effective, many ‘hair loss’ experts now agree that the best types of hair loss shampoos for long-term use are those that don’t contain SLS or SLES. What Other Nasties May Be Lurking In Your Hair Loss Shampoo? Artificial fragrances can reduce moisture and irritate hair and skin too. They also contain many different chemicals, some of which have been linked to dizziness, headaches, hyperpigmentation, rashes, coughing and vomiting. Parabens are preservatives that stop bacteria growing in products. They’re found in most cosmetics, creams, deodorants and shampoos for this reason. Parabens have been coming under fire over the past few decades as they’re implicated in various health conditions, including cancer. However, health authorities consider current guidelines around quantities etc used in products are within specified safety ranges. And realistically, removing these parabens without replacing them with something else to keep bacteria away could potentially expose us to bacterial toxins that are more harmful than the parabens themselves. Be that as it may, some pharmaceutical companies are actively looking for safer alternatives for their products and gradually phasing out the use of parabens. Propylene glycol, a common ingredient in toothpaste, makeup and shampoo, is also the primary constituent in antifreeze. It’s known to cause allergic reactions. Ammonium Lauryl Sulphate (ALS) or its ethoxylated variant Ammonium Laureth Sulphate (ALES) is another surfactant that cleans but also produces plenty of foam. For this reason one or other of them is almost always included in shampoos, soaps and detergents that are required to ‘foam’. ALS / ALES also doesn’t dry out skin and hair as much as SLS and SLES do. However, it can cause eye irritations and damage hair follicles. Some sources also indicate that absorption from continuous use may trigger asthma attacks. Ultimately however, whatever hair loss shampoo you use, it’s only one part of your total hair loss solution. Identifying the underlying cause and taking steps to remedy that should always be your first step. Ensuring your diet and even your personal hygiene are as good as they can be will also go a long way towards improving the health of your scalp and hair follicles. With a follow on improvement in the health of your hair.